I'll admit it. I usually don't do reality shows. I'm more of an anime person. I mean, I don't have cable and pretty much all anime series are available online for free and it's legal. This fall, though, has some good shows on TV- on Hulu in my case. "Don't watch it alone! 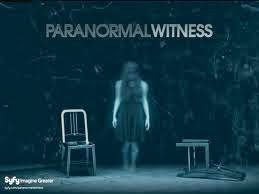 Paranormal Witness is an intense, cinematic, high-octane drama-documentary series. The show brings to life the true stories of people who have lived through explanation-defying paranormal experiences. When it comes to good shows, Syfy Channel usually fails big time. Sometimes, they have entertaining shows like Eureka and Haven. Mostly, they're known for their B-movies. I haven't been into the whole paranormal investigator show. They're fine, but I'm not running to Hulu when a new episode is released. Paranormal Witness is an exception. The 3rd season started this fall. I had gotten hooked on it a couple a months ago and the thing just stopped. I waited and waited yet no new episodes appeared. I'd assumed the showed was canceled. Imagine my delight when I went on Hulu and saw Paranormal Witness had new episodes. So excited. Fortunately, Hulu is only two shows behind. I'm not completely out of the loop. The show isn't just people exploring a haunted house. It reenacts "real-life" experience with the "real people" telling their stories on camera. I don't know if the stories are true. I don't care. The show is entertaining. Now, is it scary? I'd say it has its scary moments. The "demons" are a bit silly looking. The show is more atmospheric. It relies on phantom tapping, slamming doors, invisible assailants- that sort of thing. While watching, I'm imagining being in those people's situations. For instance, last season, a person was sitting on her couch watching TV when she heard footsteps behind her. She knew she was home alone. The look on her face was classic. She was frozen. I was frozen. I think I even stopped breathing. The show is creepy because you're so absorbed in the story. They are amazing at building suspense. Most of the episodes are haunted house stories. The one big problem with this genre is- the house is haunted, the ghost or demon is threatening them so, why don't these people move. They keep saying they don't have the money, which is a valid reason. But, in the end, most of them move anyway. Still, it's not something I think about often enough that I don't enjoy the show. Besides, I never tire of a good haunted house tale without gore. They're not all haunted house stories. Some involve aliens, werewolves and unknown beasts. The last one I saw was paranormal in the senses that police were relying on a physic to help them stop a serial killer. That one was more disturbing than creepy. Besides the ghost/demons ones, the alien episodes are my favorite. As I said earlier, I don't have cable, don't want it. I watch all my shows on Netflix, Hulu and Amazon Prime. 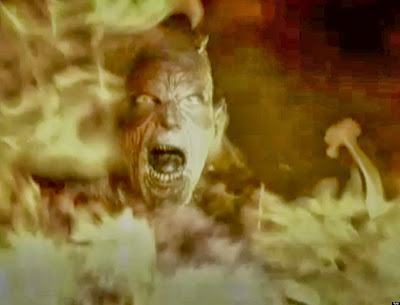 Though Paranormal Witness is on Hulu, we get like one new episode a month. This isn't Hulu's doing. It's Syfy and it's soooo annoying. There aren't many TV shows I watch regularly. This one is awesome horror show. Hope it stays around. I'm pretty sure I haven't heard of this series, though not everything that Syfy does gets up here. This might be one of those little known shows, but I really like it. There's no way I can watch the paranormal stuff. It'll stay on my mind for several days. I used to be a reality show addict, especially with the train wrecks like Flavor of Love and Rock of Love. I stayed glued to the television! I couldn't do Flavor of Love. I've gotten into America's Next Top Model though. Used to watch Bad Girl's Club. It's a good show, you should check it out.